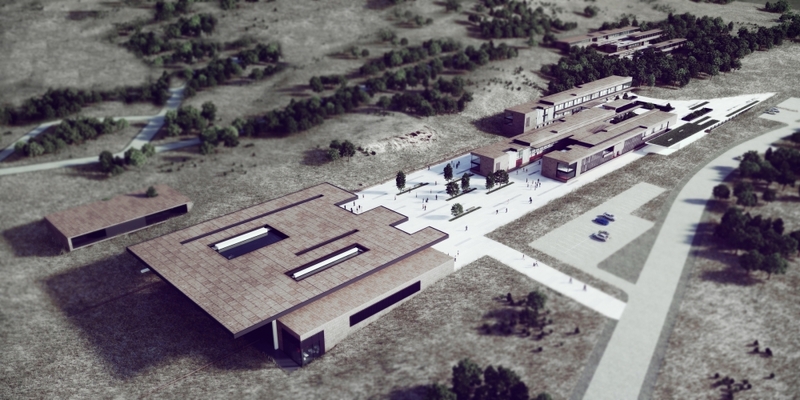 ONZ Architects together with Goland won Honorable Mention Prize in Gökçeada School Campus Competition. ONZ Architects together with Goland received honorable mention with their Sustainable School Campus proposal for Gökçeada Island in Turkey. For the design of the school campus, the remarkable topography of the site has been the major source of inspiration. School buildings have been positioned on the north-south axis in order to give small façades to north because of Gökçeada’s harsh climatic conditions. The main mass positioned on the site has been divided from north to south into public (sports facilities, conference hall and activity square), semi-public (school buildings, library and refectory) and private (dormitories) spaces. These spaces were then separated from each other and shaped according to the topography which infiltrates into the campus.